This past week I had the pleasure of meeting the most amazing couple who founded and run a medical clinic here in the Sacred Valley in our neighboring town of Coya (Qoya). 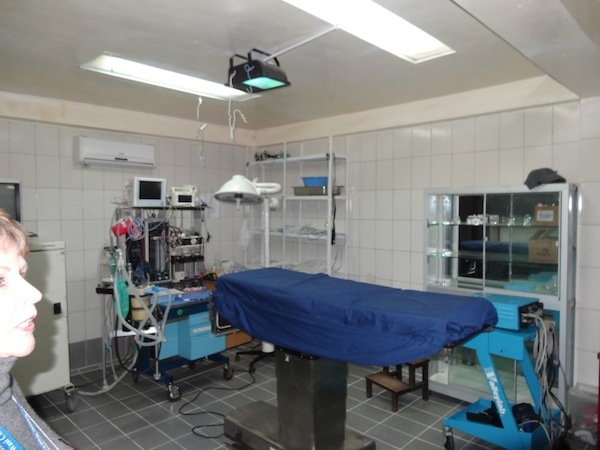 Their clinic is called Kausay Wasi, and they offer general medicine, dentistry, gynecology, obstetrics, operating facilities, and currently offer the only fully functioning x-ray lab in the entire Sacred Valley. In addition to their general care services that are offered 7 days a week, Kausay Wasi hosts between 12-15 visiting Volunteer U.S. Medical teams a year. 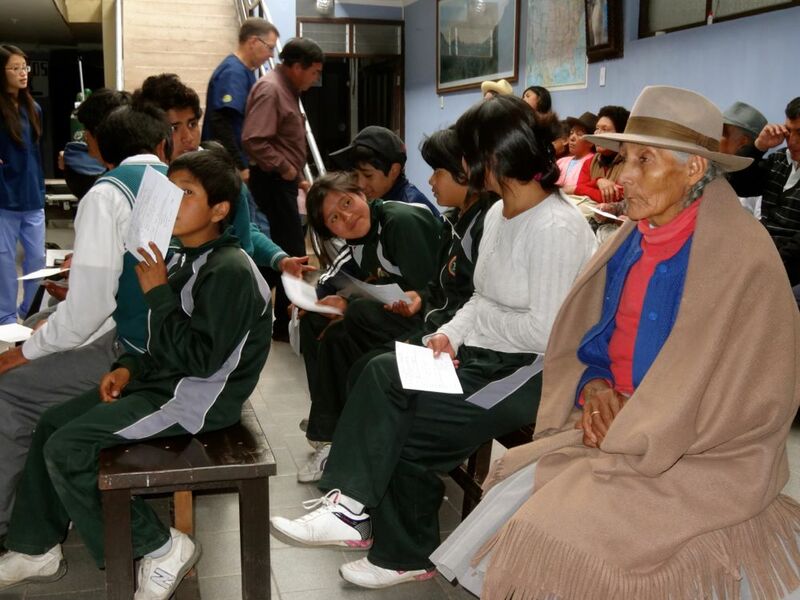 Volunteer doctors have worked with Association Pro Salud Calca since 2003 and have operated on children with hearing difficulties, restored sight to elderly people blinded by cataracts, conducted orthopedic, cleft lip, palate, and reconstructive facial surgeries for burn and accident victims. The founders, Guido and Sandy Del Prado, graciously invited the children and I to come and take part in the Optometry Campaign they were hosting this week in partnership with a wonderful group of expert optical care physicians from the United States. 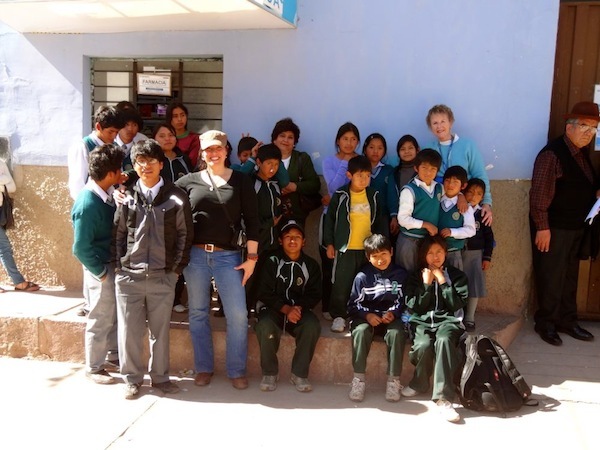 This group came as part of the non-profit, VOSH International, a non-profit dedicated to facilitating the provision and the sustainability of vision care worldwide for people who can neither afford nor obtain such care. 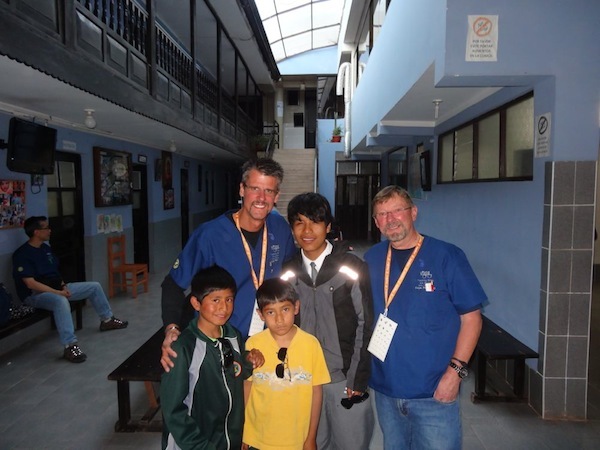 Casa De Milagros has always provided the best medical care possible to our children, however, funds and access to quality care are a constant challenge here in Peru. This was an incredible opportunity for the children, and for 10 soles ($3.50) each, they each received an expert eye exam, eye glass prescription, and free eyeglasses for those that needed them. I knew some of our children needed them, but was shocked that 9 of our kids left with brand new, much needed prescription eyeglasses. One of our older boys, Belisario, was found to have an eye infection that the doctors said he might have had for quite some time, and was diagnosed as having an extreme light sensitivity. 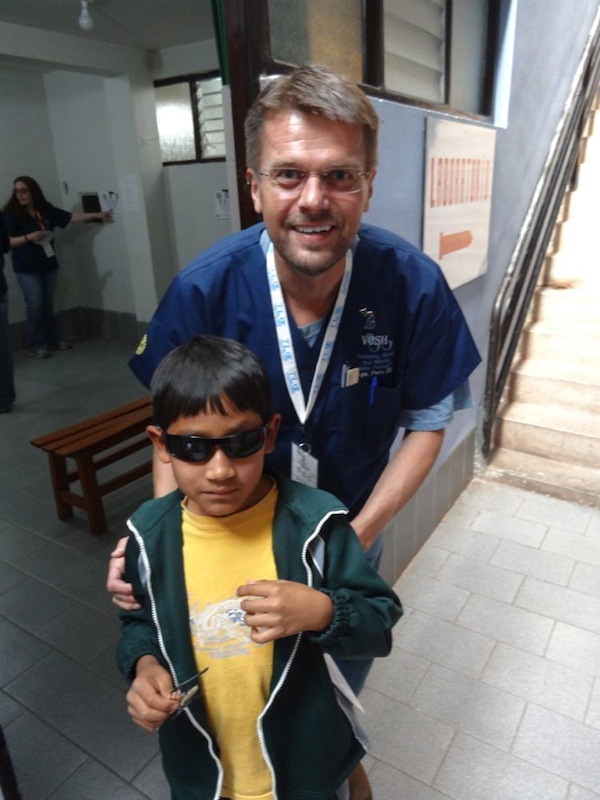 He was given some medication to clear up the infection, as well as 2 pairs of extra dark sunglasses to protect his sensitive eyes from the intense Andean sun. 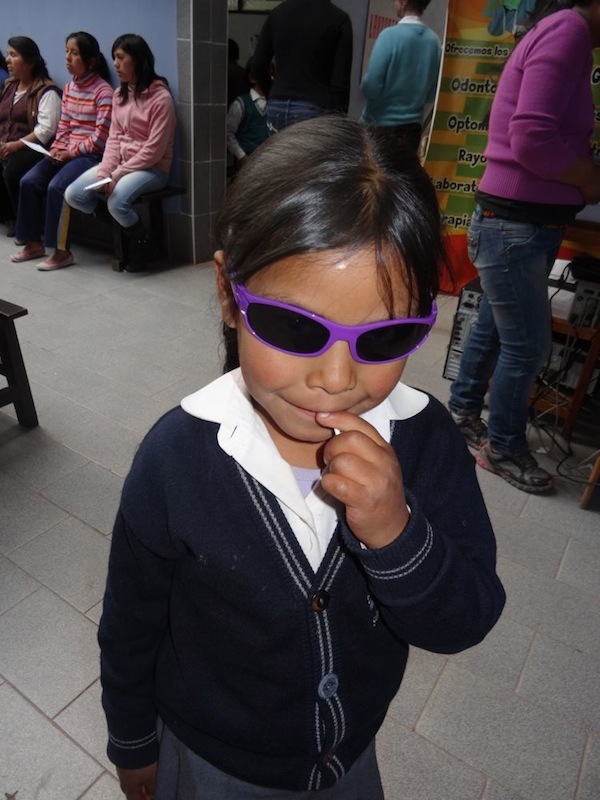 Each of the kids left with a brand new pair of sunglasses, and were very grateful for the amazing care and generosity from both Kausay Wasi staff and all of the wonderful VOSH volunteers. 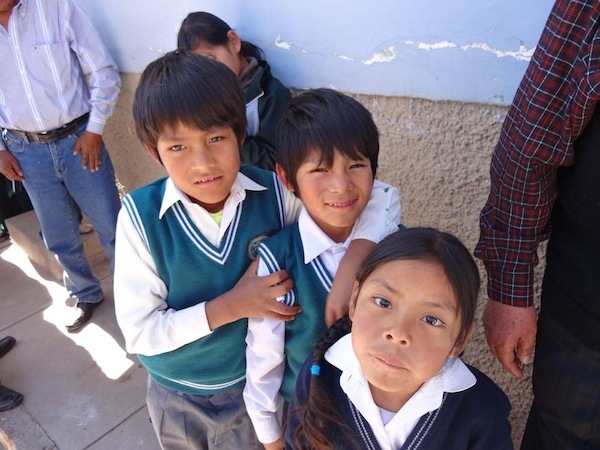 Asociacion Civil Promotora de Salud Social Pro Salud Calca is a registered Peruvian non-governmental non-profit organization founded by Guido and Sandy Del Prado to provide basic health and dental care to thousands of Peru’s poorest people. Guido is a retired U.S. Foreign Service Officer and former Peace Corps Director. Sandy is a former Peace Corps Volunteer and USAID Health Project Officer. 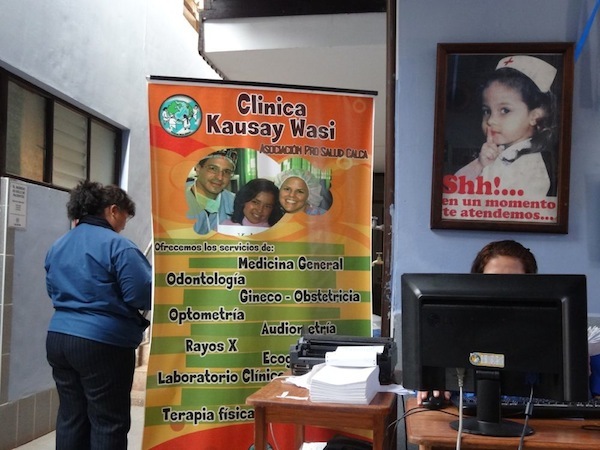 Kausai Wasi provides General Medicine that is available at the Clinic seven days a week. They also offer Gynecological exams, Dental, Physical therapy Prosthetics General medicine are also available on a daily basis and pharmaceuticals are available at very low cost or provided free of charge to those who cannot afford to purchase them. Over 100,000 low income patients have been provided with quality care over the past five years. Their General Practitioners see approximately 500 patients a week.